Tourists have big shoes. Climate scientists and other experts suggest that the size of the footprint — carbon and otherwise — left by global travelers is about four times larger than previously thought. Sustainable tourism is a hot topic, and in light of Japan’s goals to grow the number of inbound tourists to 40 million by 2020 and all the way up to 60 million a decade later, it’s one that deserves attention. Fortunately, there are ways to ease the environmental impact of the tourism boom, and they’re not limited to planting trees to offset carbon emissions (though that’s a good place to start). To green their travels, visitors can take a number of actions that, when performed by enough people, can make a big difference. Sophie Walker, sustainability coordinator at InsideJapan Tours, encourages people to say “no” to the disposable chopsticks doled out at convenience stores and restaurants, and to instead drop by a 100-yen store to pick up a reusable pair they can take home. She also recommends refusing plastic bags when shopping, refilling water bottles and recycling in designated bins wherever possible. “We promote sustainable travel in Japan as we’d like to give (visitors) the opportunity to have a positive social, environmental and economic impact,” Walker says. To this end, she urges tourists to try independent accommodation, such as ryokan and minshuku, in off-the-beaten-track destinations, and to opt for experiential tours with an emphasis on tradition, led by local guides. Doing so can help revitalize rural areas that are suffering the effects of urban migration and depopulation, ease the burden of overcrowding in tourist hotspots and focus the travel experience on smaller communities. The historical town of Joge in Hiroshima Prefecture has geared itself to offer all of the above, making it a feature of InsideJapan’s small group tours — but there are myriad options available to travelers with their sights set on sustainability. In the sleepy rurals of Uenohara in Yamanashi Prefecture, for example, a renovated old farmhouse, once used for silk production, awaits visitors interested in deepening their connection with nature. Just over an hour from Shinjuku Station, Yokomura Eco-Lodge offers guests opportunities to experience traditional farming and food harvesting, preparation and preservation techniques. Food choices form an important part of sustainable travel, and with a bit of forethought it’s easy enough to make positive ones. Walker recommends eating at smaller, family-run restaurants, and picking dishes that use what’s in season locally, to help reduce “food miles” (the distance food is transported from production until it reaches the consumer) while supporting local economies. Choosing to eat vegetarian or low-meat options also helps make travel more sustainable. 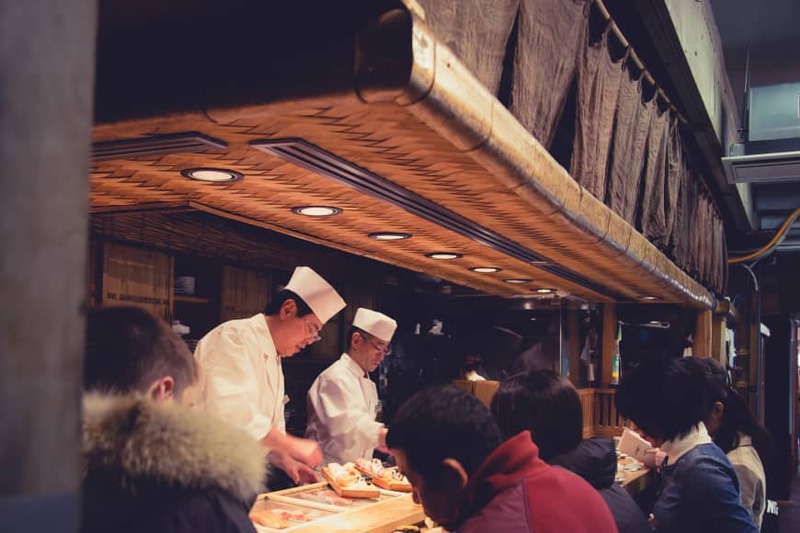 When ordering seafood here, it’s best to try to avoid certain species, even if they’re at the top of the menu, advises Mareike Dornhege, Ph.D. candidate in marine ecology at Tokyo’s Sophia University. “The big four to avoid are maguro (bluefin tuna), same (shark), kujira (whale) and unagi (eel),” she says. Better choices, suggests Dornhege, are ika (squid), salmon, saba (mackerel) and katsuo (skipjack tuna), as well as sweet shrimp (ama ebi) instead of regular shrimp (ebi). If uncertain, she says, the “3S” rule for judging sustainability is helpful. “Ask yourself: Is it small? Is it seasonal? Is it silver?” she says. You want the answer to be “yes” to all three. 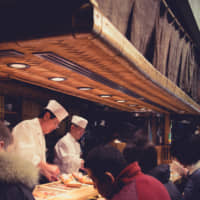 Dornhege also recommends trying nonfish options at sushi restaurants, such as tamagoyaki (rolled egg omelette), umi budō (sea grapes) or any of the numerous vegetable dishes on the menu. Carey Finn is passionate about sustainable tourism and is one of the senior staff members at Tokyo Cheapo, a site devoted to those looking to make their yen go further in the capital. For more information, visit www.tokyocheapo.com.